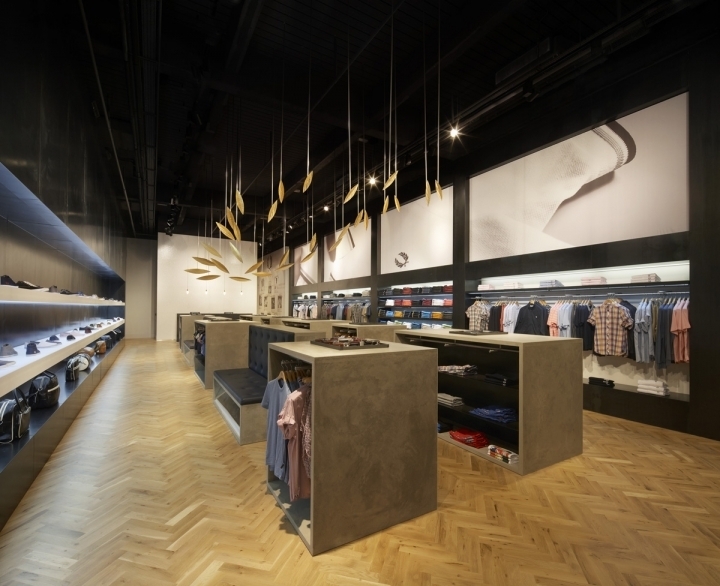 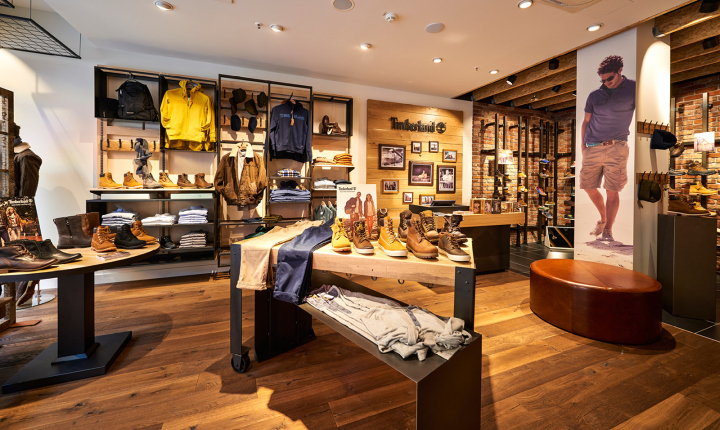 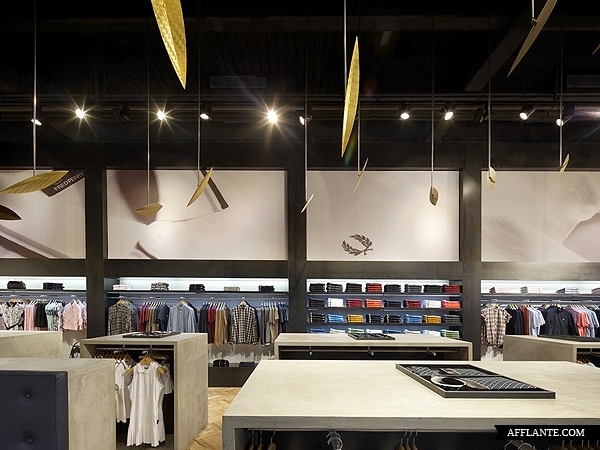 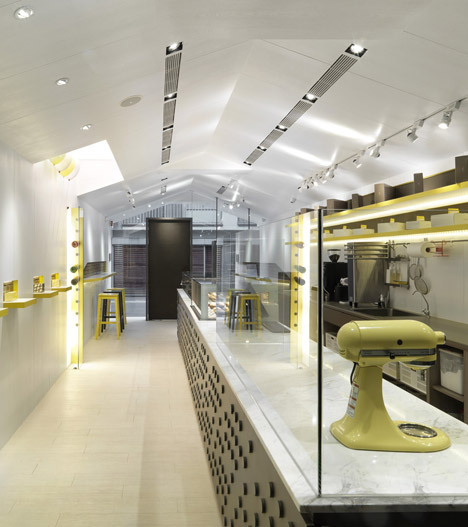 BuckleyGrayYeoman were asked by Fred Perry to fit-out their new flagship ‘Authentic’ shop in Westfield Stratford City. 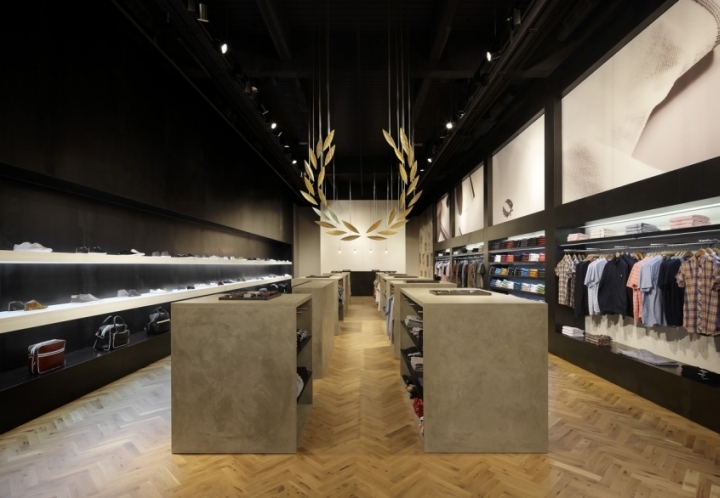 At the heart of the proposal is a playful anamorphic installation, based on Fred Perry’s laurel logo, which runs through the length of the shop. 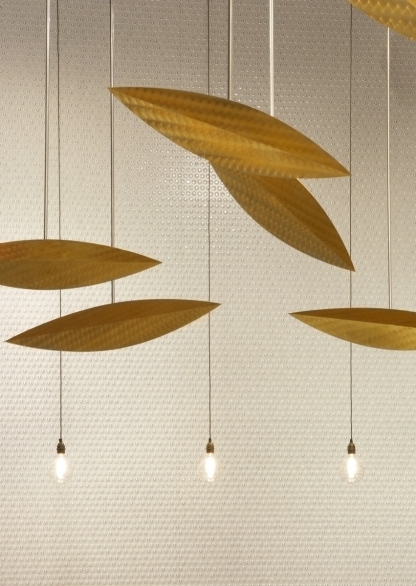 Formed of numerous internally illuminated ‘leaves’ of varying sizes, customers entering the store momentarily view the complete set of leaves together: this will bring to life the iconic laurel motif. 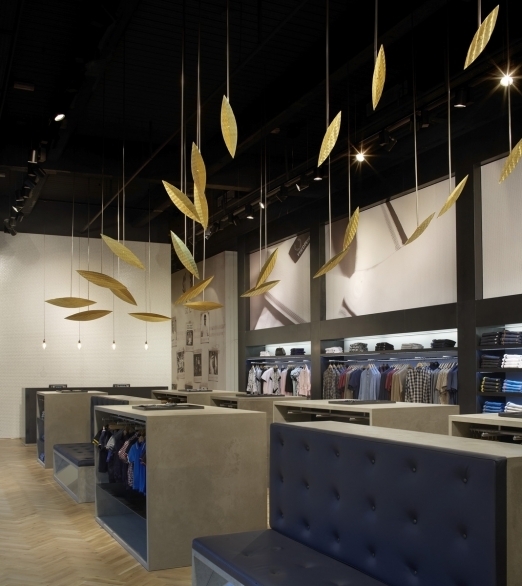 This installation invites customers to walk through the store and create a truly memorable and engaging retail experience.